In Japan Halloween isn’t really a holiday or celebrated the way it is in North America. But, there’s a general awareness of the event with all the merchandise and marketing that happens in the season. Walking into a grocery or convenience store you’ll find Halloween Candy and Halloween flavoured versions of typical snacks and sweets. Trick-or-treating happens on occasion, but only when it’s specifically organized by an individual or group providing the experience for kids. 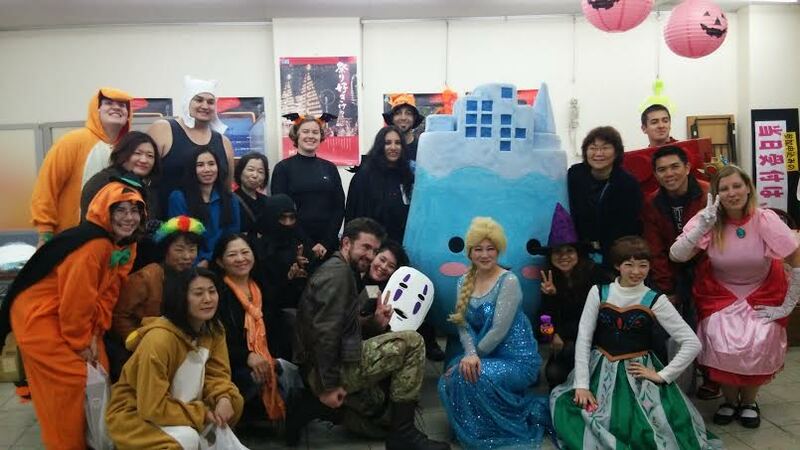 I went to two trick-or-treating events, one organized by an English teacher for her young students and the other organized by city hall in my town. Halloween is really fun to teach in school. For some of my classes I told a scary Japanese story in English, “Kuchisake-Onna”. It’s about a split-mouth woman who wears a surgical mask and goes around asking people if they think she is beautiful and then cutting them with scissors. Because face masks are pretty commonplace here, I wore one to class and told the story, ripping it off partway through the story to reveal I had drawn a split mouth on my face in red. It went over pretty well but the comments I got were “very cute!”… when really I wanted them to gasp in terror. Throughout the year, many students have said “Trick-or-Treat” to me at various times, trying their luck to see if I would give them candy. It always took me by surprise but I can’t be surprised that if you’ve learned saying a certain sentence results in free candy… you’re going to use it. I showed some of my students a clip from “It’s the Great Pumpkin, Charlie Brown”. (On a related note, the comic series is called “Snoopy” in Japan). I was surprised how funny they found it. It must be a classic for a reason. 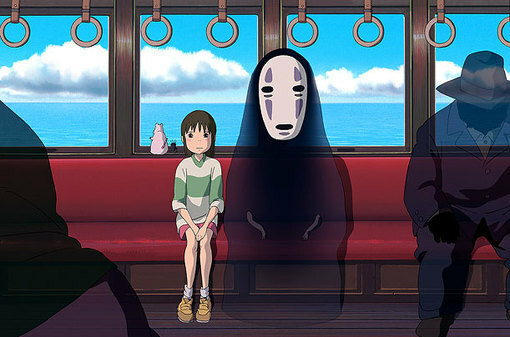 On the actual day of Halloween I wore a No Face (Kaonashi) from Studio Ghibli’s Spirited Away. I was excited to be a recognizable character but I greatly underestimated the reaction I would receive. At the Trick or Treating event I heard people calling out “KAONASHI! !” as I walked by and caused some little kids cry when they’re parents tried to force them to shake my hand. 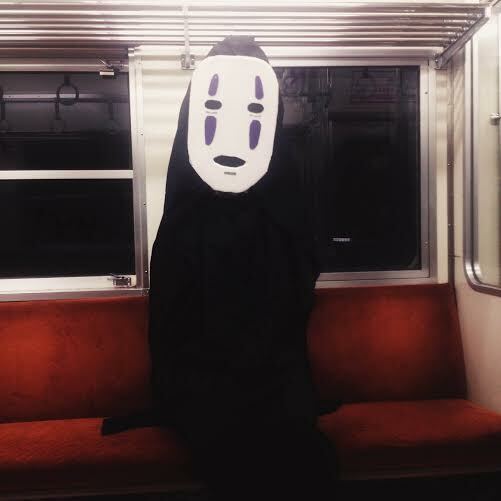 Later in the night I wore the costume on the train. The train conductor who patrols the cars came over to us and I thought maybe he would ask me to take off the costume, but instead he said “Please say Trick-or-Treat” and when we did he gave us train stickers and candy.